Microsoft Bing has over 20% of market search share, which provides us plenty of opportunity to advertise on Bing and millions of bing display network websites. Even though Google Ads are the most preferred choice for online advertisers but due to heavy competition it is way too costly. Bing helps you target your campaign to right audience and let you drive the best targeted traffic to your website/business at the lowest cost possible. Outsource your bing ppc management and boost your profit. 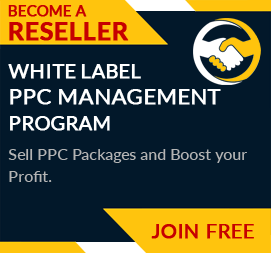 We offer white label bing ads management services to our reseller partners at great discount. Our white label program makes sure your clients remain under your brand, you get all the reporting in your brand, upprice the packages as you like and boost your profit. There are multiple agencies that do seo or ppc but outsource Microsoft bing ads pay per click management to us. Sign up today for reseller program or send enquiry for any queries. Unlike several other agencies, PPCPapa provides PPC management for various search engines including Bing. The team helped our business to advertise across various search engines and helped us gain handsome traffic on our site.